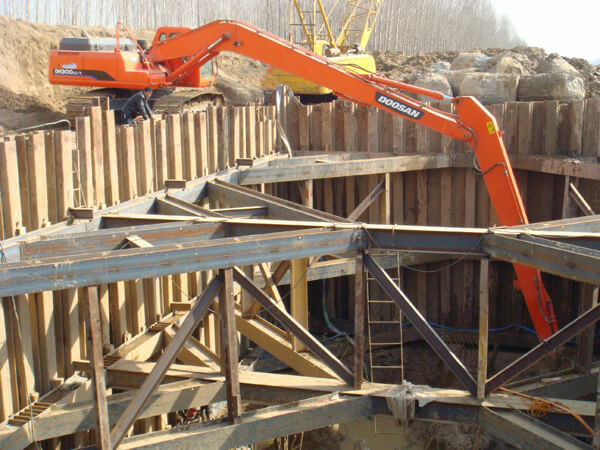 1. add the long arm excavator to check the fuel tank oil, and add the fuel according to the need. 2. check oil tank tubing, pipe joint and filter, if there is leakage, should be excluded. 3. to check the oil level of oil base oil, the machine should be placed in the horizontal position. The oil level should be between the oil scale and the lower line. If the oil level is too high, the reason should be found out and the fault is excluded. 4. the oil pipe, pipe joint and filter, if there is leakage, should be excluded. 5. check the water separator and discharge the water in the water separator. 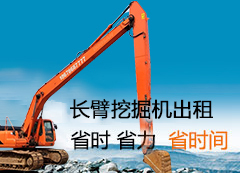 6. check the inlet duct of the cooling system, and the inlet duct of the long arm excavator should be kept smooth, such as the dirt in the dust, which should be eliminated in time. 7. check the joint parts of the intake and exhaust pipes, such as gas leakage, should be excluded. 8. the exhaust valve of the cleaner filter, when the dust of the dust collector reaches half the dust, the dust should be removed and the dust collector should be cleaned. 9. check the fastening of each component, each part should be fastened and reliable, if loose, it should be fastened according to the specified torque. 10. to hear the engine running, the engine should start quickly. The speed should work normally, no noise or smoke. Otherwise, we should identify the cause and remove the malfunction. After 50 hours' work, we should tighten the cylinder head bolts and check the valve clearance. If there is any discrepancy, we should adjust it according to the regulations. Our company will abide by the principles of business reputation and equality and mutual benefit, and provide users with the best service and create more perfect works. We are willing to work together with friends from all walks of life to create prosperity.